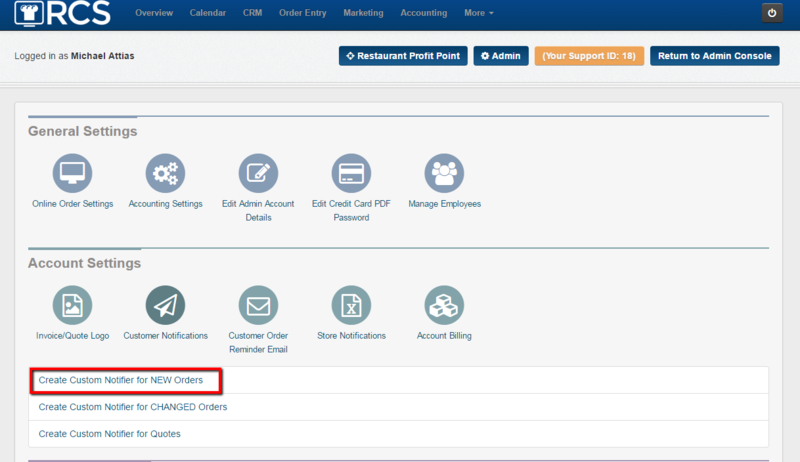 This article will go over how to customize the Order / Revised Order / Quote notification that the customer receives when placing an order. 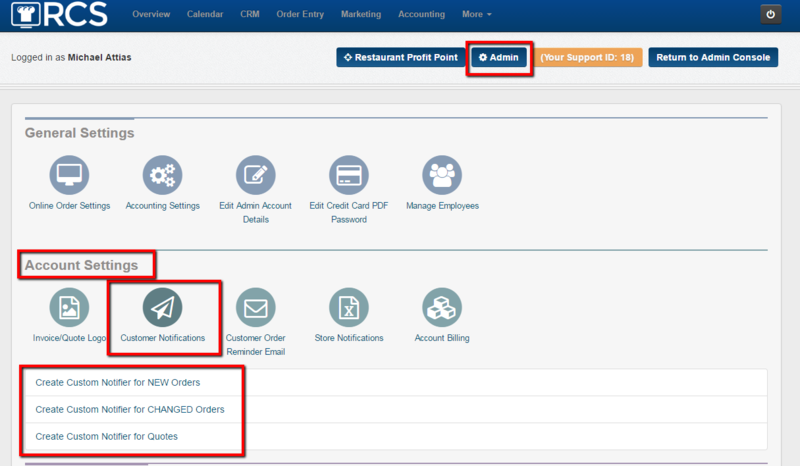 1 - Click on the Admin tab and then look for the Account Setting sections and click on the Customer Notifications bubble. 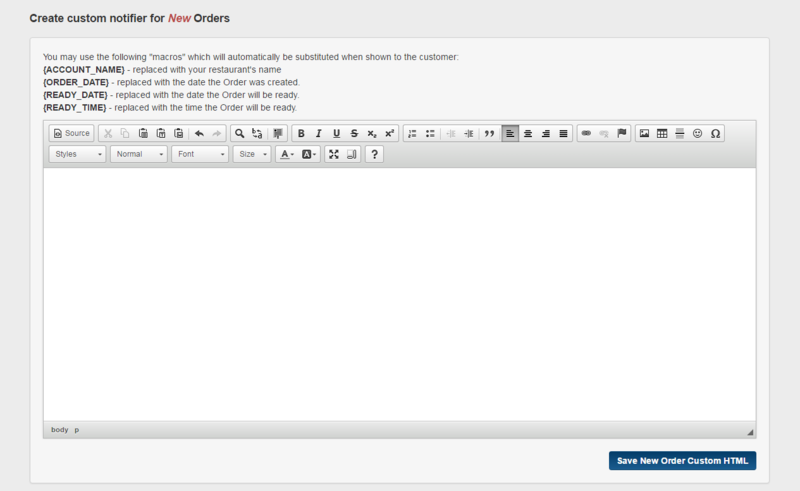 You will see 3 links appear: Create Custom Notifier for NEW orders, Create Custom Notifier for CHANGED orders and Create Custom Notifier for Quotes. 2 - When a customer places an order or quote then automatically an email will be sent to that customer with their order or quote. 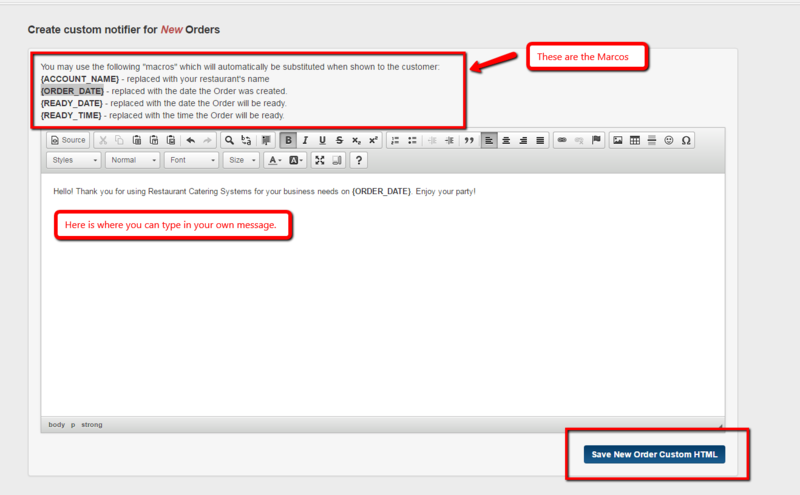 If the customer changes or adjust their order or quote they will then also get another email with the changes. You can customize any of these emails to include important information that you want the customer to have when receiving their order. To change any of these notifications you will click on the link for the notification that you want to change. 3 - Then you will see a Word document screen that will allow you to customize the email. 4 - You can then add in your message. Please note you can add in 4 types of macros by copying the Marco you want and then clicking right click your mouse and paste it inside the word doc. Don't forget to save your changes. Once you have saved your changes then the new email notification will be sent to customers with any order, quote or revised order placed.